Once again I apologize for not posting anything new lately. I had a crazy summer of freelancing, job hunting, moving, and starting a new job, so I just haven’t had time to write recently. I hope to have something soon. But in the meanwhile, you can enjoy free shipping from the Arrant Pedantry Store when you buy two or more items and use the coupon code FALL2013. The code is good until September 17th. If you haven’t checked out my store in a while, please take a look. 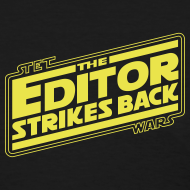 You may have missed some of the newer designs like IPA for the Win and Stet Wars: The Editor Strikes Back. 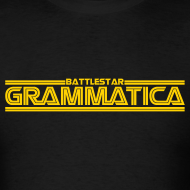 And of course, there are always perennial classics like Word Nerd and Battlestar Grammatica.